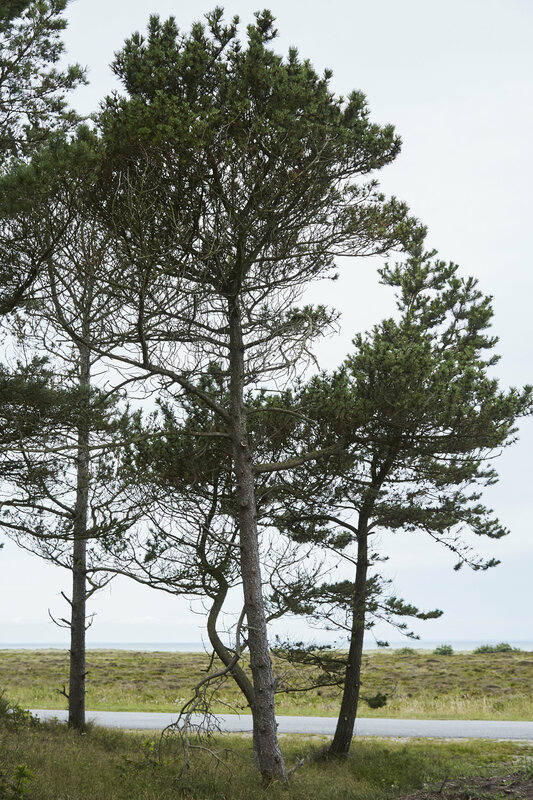 After numerous vacations in rented houses on Læsø, Frederik and Merete fell in love with the island. They are both interested in nature and love to find mushrooms in the forest and buy cheap langoustines, which the island is famous for. Therefore, the couple decided to buy a lot on the island and build their own, personal house, when the right site was up for sale. The lot was the starting point for the house's shaping, and they made it a shared project to draw and construct their dream house. 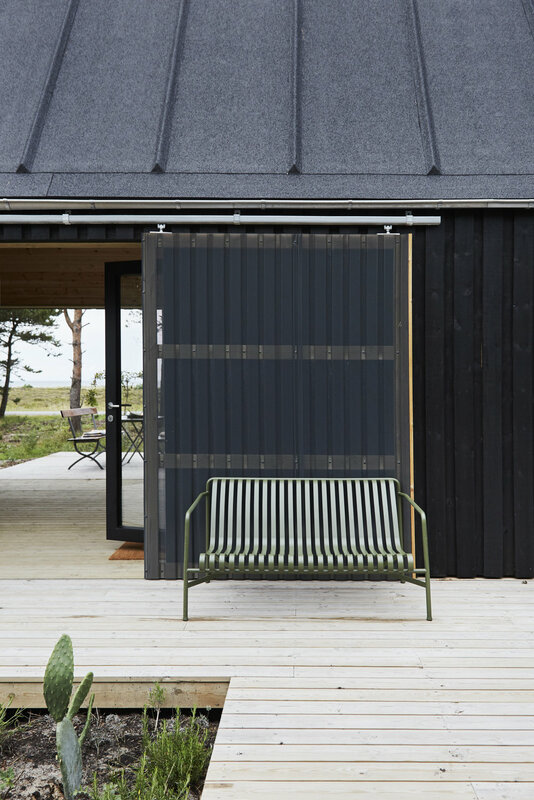 The project is, therefore, a private one, although both Merete and Frederik usually work as architects in Danish architect firms. 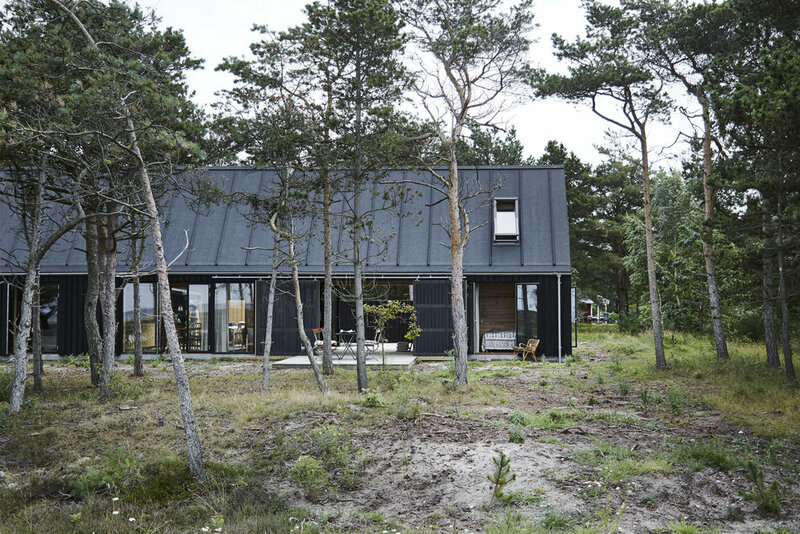 The house itself is built on a natural plot of land, and its facade faces the east coast of Jutland. There is a large dune area in front of the house, and beyond that, the ocean. This was the view they fell for and know the sunset is often enjoyed from the terrace, on warm as well as cold summer evenings. "Læsø is a 4-5 hour drive from Copenhagen, and in addition to that comes a 1.5-hour sail, so when we bought the lot, we knew that we weren't going to use the house more than 1-2 times a month and on long holidays. Therefore, the budget shouldn't be too big. So we decided to spend about one million kroner on the house," tells Frederik. The million had to cover the construction and furnishing of the entire house. Simple materials - wood, wood and more wood creates its own expression depending on surface treatment. The favourite spot - the west terrace. Chanterelles and langoustines are served in buckets. All the rooms in the house had to have a door into nature so the ocean view could be enjoyed by all guests who comes to visit it. There had to be a yard, shielded from the westerlies, behind the house. A covered terrace, so there was an opportunity to sit outside despite rainy weather. This was built between the main house and the annexe. An outdoor kitchen was also on the list, and in addition to that three bedrooms and two bathrooms, to assure privacy and excellent conditions for their children and friends. The house had to be built without any use of complicated constructions and materials. The design concept was ruled by the demands for building a simple, compact and uncomplicated house. It had to open against the sea and be cheap because Læsø is a distant place and the prices on homes are relatively low. If the house had to be sold, the cost of construction had to match the local prize level. The house ended up being 75 square meters. The budget wasn't blown, because of the local workforce and that the materials more or less were from the local timber yard. But also because it has been a test for the couple not to spend more on it. In the process, they have considered all details, materials and it has all been thought-through from the beginning, so the materials have been chosen because of aesthetics and prices. Merete, Frederik and their daughter Julie, who is studying architecture too. The son Niels wasn't on the island when we visited it. For guests or children - room with free access to nature and sunsets. In the top, there is a guest room. There is no door here, but the window provides a view towards the west. Unhewn stones are used as stairs, so the sliding transition between house and nature remains. "We knew it had to be a wooden house. 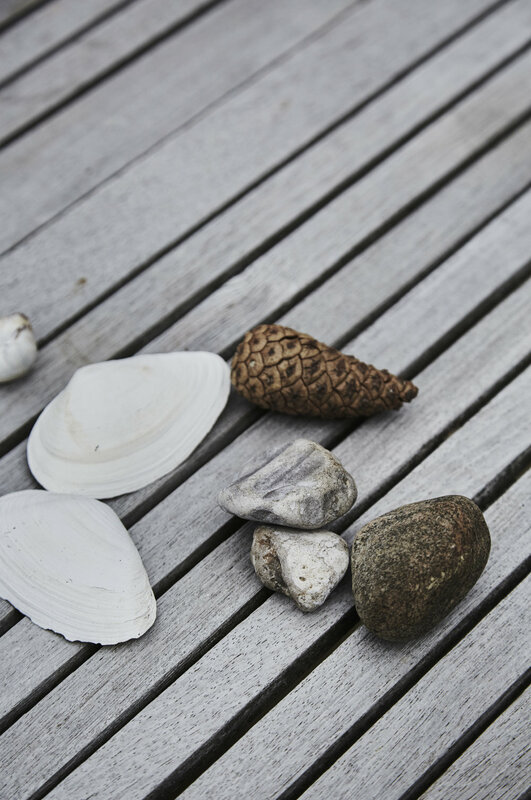 It is like a tradition that most summer houses in Denmark are made out of wood. Furthermore, we decided that the house had to be protected with black wood preservation and have black windows, cause it should fit in with the surrounding landscape, so it doesn't stick out like something odd and concrete, except the perpendicular partition walls made out of plasterboard, that gives structural support to the house. The plaster walls also made it possible to add colour to the walls, so the house doesn't end up looking like a cigar box, all in wood. The colour palette, which has been chosen, stretches from light ochre to pigeon blue, nuances that harmonise well with the timber and the black details. The high ceilings in the main house make the place spacious, despite the relatively small, 40 square meter living room and kitchen, and forms an attractive living area. The glass panels in the opposite end create a visual link between the covered terrace and the living room." Frederik explains. Simple materials - wooden kitchen and wooden dining area. The chairs are heirlooms from Frederik's family. The table is made out of wooden boards from HAY. The kitchens body is from IKEA, but the fronts are made by the local carpenter in glue-laminated wood. 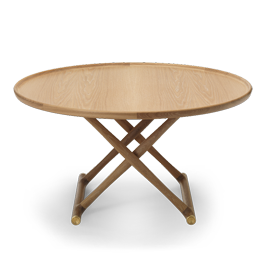 The tabletop is in smoked oak, and the materials are from the local timber yard. The kitchens top cupboards are made by the local carpenter as well. There hasn't been spent a lot of money on everything, but there had to be two chairs in Danish design by Kaare Klimt in the house. The two "Safaristole" are produced by Carl Hansen & Søn. 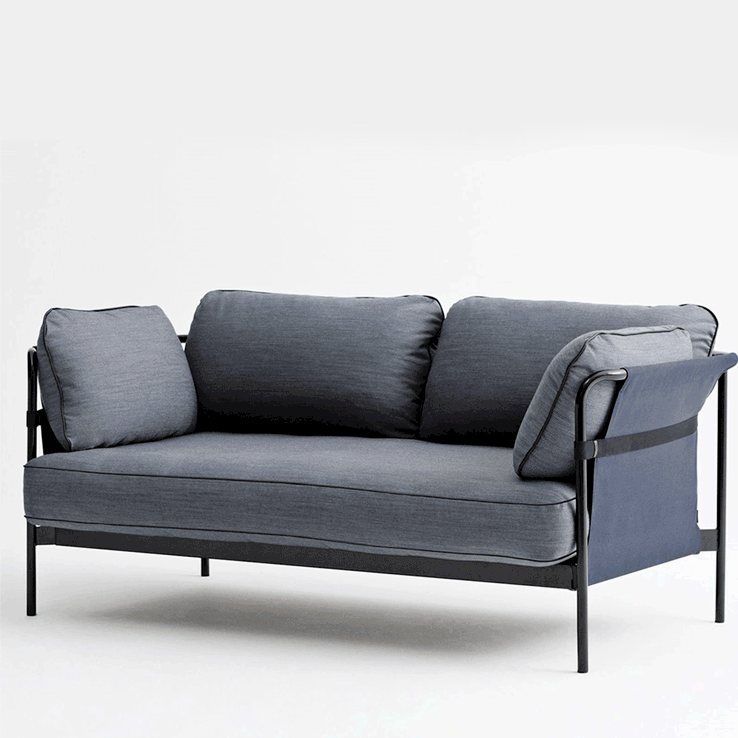 The sofa is from HAY, designed by Ronan and Erwan Bouroullec and the small tables are from HAY and Santa & Cole. Bathroom details - mirror from HAY and a laminated wood shelf. A look through the hallway from the entrance hall to the bathroom. 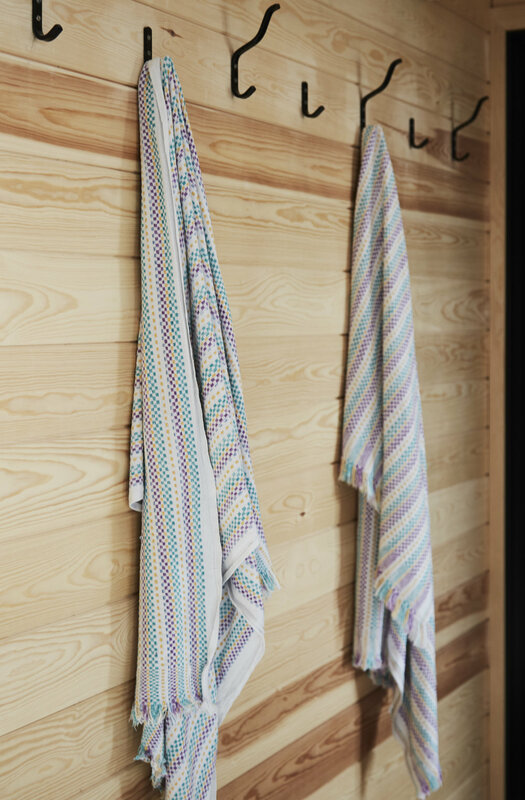 Towels hanging on simple racks in the small hallway. The outdoor kitchen is simple - a table top, sink and gas jet is all it takes! Pine trees and grasses are native plantation on Læsø. The family loves to bike, and this one is bought used on the island. Especially Merete loves to use the outdoor shower after long runs in the island's nature. The family loves to bike, and this one is bought used on the island.